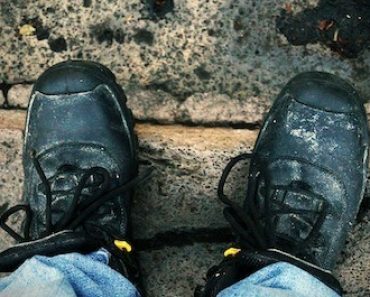 Looking to find your best, most comfortable work boots? One great thing about these work boots – they don’t have a break in period. You can use them straight after opening the box and you’ll enjoy their full comfort. They’ve got a steel toe cap and are surprisingly breathable given their waterproof nature. Among its features, it includes an anti-static sole, shock absorbing heel, anti-perforation mid-sole, slip-proof and grease resistant. Therefore, they are quite flexible in terms of work environments. They are a robust pair of boots that are trusted by manufacturers like Volvo and Coca-Cola in their workplace. Hence the reason they are a very popular choice among others. This shoe is well constructed and has a great ankle support. For me, they offer a great value for money and I’m highly satisfied with them. This is one of the best-reviewed pair of work boots that you can find online. Judging by their built, I wasn’t surprised by the fact that these are one of the most comfortable work boots that money can buy. They come equipped with a midsole protection, steel toe cap and inside zip fastening for ease of access. The fact that they are waterproof offer you the guarantee that you can literally make use of them in any extreme environment. They are a great pair of safety boots that are made to last. There are not many footwear brands out there that can successfully compete with CAT in terms of longevity. Hence the reason they are more expensive than the regular work boots, but if you are on your feet all day you can’t put a price on comfort. For a sturdy pair of boots, I was pleasantly surprised by how lightweight they actually feel. If you’re not on a budget, they are a smart choice. Most of the time you do get what you pay for and they are considered one of the best work boots for men that money can buy, they should last you for years. Yet again, one of the great things about these Timberland work boots is that they have absolutely no break in period and can literally be worn to work the day you get them. They come in a blend of 3 different colo urs, so you can choose the one that fits your style. They’re made of a full grain water resistant nubuck leather, and in terms of safety: they are equipped with a steel toe cap and an anti-perforation steel midsole. Anti-static and a trail grip nitrile rubber outsole with shock absorbing comfort layer, another two features of these work boots. Besides the shock absorbing comfort layer which offers you an extra piece of mind in terms of comfort, they also have a high grip outsole – for improved slip resistance. They are considered ‘water repellent’ and not ‘waterproof’ – that can be quite a pain if you have to wear them outdoors in the rainy/winter days. Dr Martens safety boots have been selling in the UK for almost 60 years now and they are one of the top brands in the industry. They are made of a black, solid leather with a padded collar and tongue for an extra comfort. The soles are anti-slip and they’ve got a great shock absorption feature. One downside of these boots is that their soles tend to worn after a couple of months if your job implies a lot of walking. Besides that, they’re a good, comfortable pair that offers you the safety you need. Another great, sturdy and durable pair of work boots by CAT, which come in two different colours: black and brown. Featuring a full grain leather upper constructed using goodyear welt, means the upper is cemented and stitched for extra durability. A textile mesh lining and removable PU sock liner that add to the comfort, whilst the slip-resistant rubber sole unit ensures a good grip where you need it. The steel toe cap offers you an extra protection and complete with a 3 cm height heel and the Caterpillar branding, you can’t go wrong with these, they’re built to last. On the other side of the coin, I wouldn’t suggest you buy a pair of these if you’re going to spend most of your time outside, their waterproof feature isn’t one of the best as many people pointed it out. Running away from the industrial sector, here we have a pair of combat work boots by Groundwork, that would best fit those working as a doormen, security officers, policemen, fire officers and for all kinds of outdoor activities such as hunting, paintballing, hiking and anyone who needs military quality footwear designed for extreme conditions. 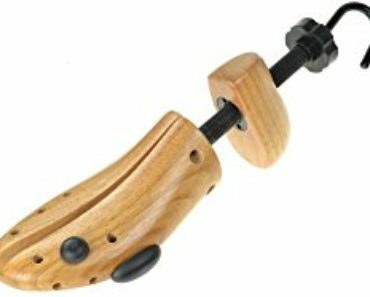 It has an interesting design, that’s probably one of the reasons that make these boots a very popular choice among Amazon.co.uk’s customers. These boots are made of leather and they are equipped with a steel toe cap. An interesting feature about these boots is their zip, which comes in handy for when you can’t be bothered to untie your laces. However, just like most of the zips, you can start having problems with them after a while – that’s my downside in regards to these boots. However, they are reasonably cheap so depending on where you plan to use them, they might prove to be a good deal. Another great looking pair of work boots, manufactured with a high-quality leather which offers them a natural look. Crafted from rugged oil-soaked hide, the Rawhide is one of the strongest elastic sided work boots available. 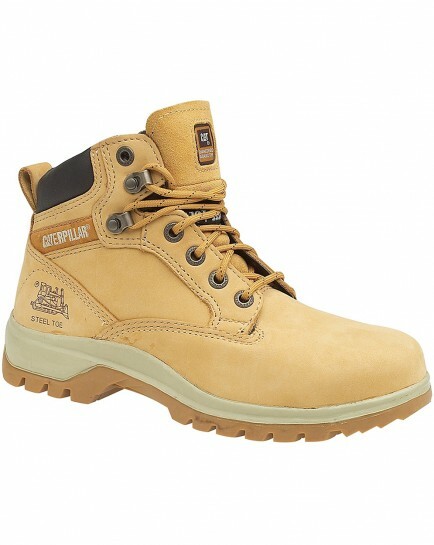 It features a steel toe cap and a steel midsole, offering you the optimum protection. Also, it features a Goodyear welted anti-static nitrile rubber sole, which is heat resistant. 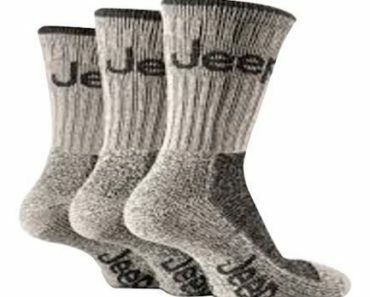 They’ve got a highly breathable lining, making sure they keep your feet cold during summer and warm in the winter time. Again, the downside of these work boots is their fit: being a slip-on boot, they tend to come a bit larger. I couldn’t help but notice the considerable number of people that had to order 1 size smaller than the one they usually wear for a perfect, comfortable fit. A well-made, tough pair of Amblers work boots, manufactured with a strong durable midsole with added toe protection. They are antistatic and their 0,5cm height gum rubber sole offers you a good anti-slip protection. 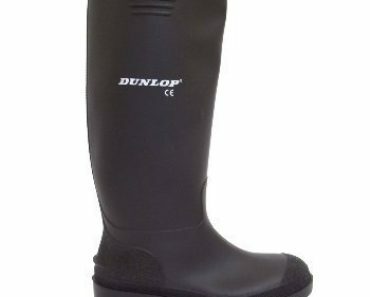 Each boot is made of a fully waterproof leather and breathable upper, keeping your feet dry in most conditions. The toe cap and midsole are composite metal free, therefore they tend to be a bit lighter compared to most of the work boots. As a negative, it takes a bit to wear in, in which they can prove to be a bit uncomfortable around the top. Overall, a comfortable metal free and lightweight safety boots that can easily be used as hiking boots as well. 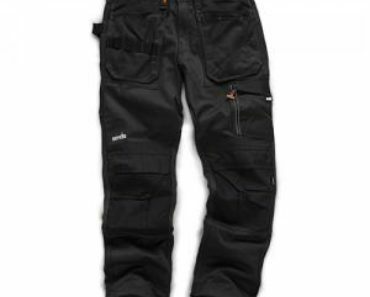 Another great, solid pair of safety boots by Dickies that offer a great ankle support. They’ve got a nice, stylish design, leather upper and come in a choice of 2 different colours: black and brown. Their heel is slip-resistant, antistatic and shock absorbent which increases their comfort. Plus, they are also equipped with an internal water resistant membrane that keeps your feet dry in wet environments. Each pair come with a steel toe cap, but also with steel midsole for an extra underfoot protection. 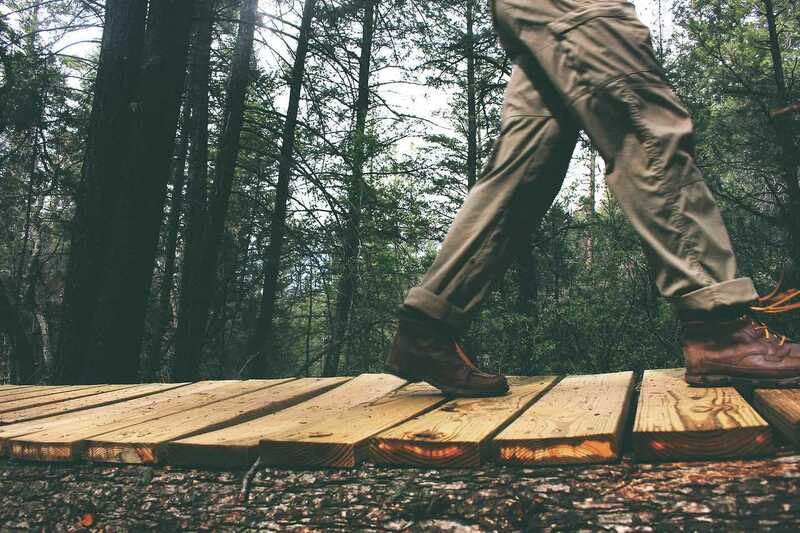 They’re not just a popular choice as a steel toe cap work boot, now they are used quite often for hiking or other outdoor activities as well – although, I consider them to be a bit too heavy for that. Yet again, typical for a pair of work boots: they need some time to wear in, so bear in mind that you might not enjoy their full comfort straight away. Another complaint about these Dickies safety boots: their soles are glued and not stitched, they might be coming off after a while. These are the best safety boots for ladies – smart looking, sturdy, comfortable and long lasting – as you’d expect from Caterpillar. Although CAT boots are known for their considerable long break-in period, these pair of safety boots for women are comfortable within the first day. If, however, you still feel them a bit stiff, adding some moisturising cream should speed up the break-in process. They’ve got anti-static properties, a removable EVA sock liner and the padded collar give you an additional comfort. These safety boots with steel toe cap for women are made from full grain leather with a moisture wicking nylon mesh lining and anti-bacterial poliyou insoles. They are also highly breathable for a leather pair of boots – you have the guarantee your feet stay dry in warm conditions. 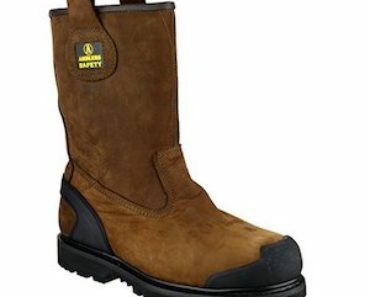 The S1 rating makes these boots suitable for light industrial work such as warehouse and factory work, parcel delivery, or other jobs where heavy lifting may create the risk of crush injuries. My complaint in regards to these is the fact that they are not waterproof, therefore, these boots should not be used in wet environments. Overall, stylish whilst practical, they are probably the best-reviewed pair of work boots for women that you can buy online. A hugely popular brand in Europe and America. Because Caterpillar is synonymous with high quality, tough products, Caterpillar work shoes have taken that reputation and built some outstanding and comfortable work boots, both safety-toe and soft-toe, for men and women, that are very appealing to the younger generation. Probably the worst part when it comes to Caterpillar work boots is their break-in period, usually longer than most of the other brands out there. It has a strong presence around the world, along with their timeless look – that makes Timberland one of the most iconic footwear brands in the industry. Compared to the CAT boots, most Timberland shoes are ready to be used straight away, they don’t have the traditional break-in periods. Another popular brand, the industrial shoes started being manufactured in the UK in 1960. They are well known for their distinctive look, however, when it comes to DM shoes, they are built more for function than fashion. Their popularity began with skinheads, around 1963-4 in the U.K., who adopted the boots as part of their image, in keeping with their working-class pride and anti-fashion mentality. In the late 1970s, Dr. Martens were cited as standard police footwear in the U.K. as the oil resistant soles made them suitable for dealing with traffic accidents. The boots were also popular with factory workers and builders due to their practical, sturdy nature. Nowadays, Dr. Martens continues to maintain its popularity and will keep doing it for the many years to come.